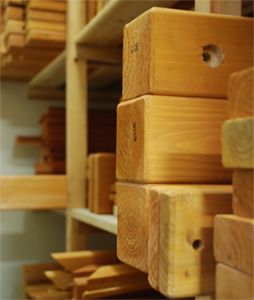 All our climbing frames are made with China Cedar. We have manufactured from China cedar (formally known as cunninghamia lanceolata) for many years due to the wood’s natural beneficial characteristics which make it ideal for outdoor play equipment, wooden cubby houses and swing sets. Plus it has the added benefit that wooden climbing frames and our cedar wood, in particular, looks great in any garden! Cedar an extremely durable wood is rot resistant because it contains natural preservatives preventing fungal growth. Cedar is also resistant to warping and twisting and performs well in high humidity also. Cedar’s scent repels insects and other damaging infestations and doesn’t need any chemicals that might harm children. All our climbing frames and playhouses are also protected with a water-based colour stain. This is environmentally safe and child-friendly. We use the highest quality wood for our climbing frames, known as 'cedar', ‘Chinese Cedar’ or formally known as ' cunninghamia lanceolata'. Chinese cedar wood has a number of positive traits that make it so appealing. Its unique strong scent is just one of these traits that make it so appealing for people to use. The wood contains naturally occurring organic compounds called ‘thujaplicins’. These compounds produce distinct cedar aroma smelling great to humans. But makes the wood highly unattractive to insects, moths and other pests. Today's outdoor furniture made from unnecessarily chemically treated wood, cedar doesn't have chemicals. This is why we use cedar. It's also bacterial and fungal resistant coupled with other traits making it the most desirable wood to use for building Outdoor furniture and Wooden Playsets. It also gives off a great Rich Aroma that doesn't appeal to insects or bugs and smells great to humans. Cedar wood is low maintenance, but as with any wooden garden products, whether its plays equipment, decking, fencing, a shed or a wooden table and chairs, it will require a little work to keep it in good condition. You can easily do this yourself by applying a new coat of sealant or stain to keep it protected from UV from the sun, and weathering from the wind, rain and seasonal temperature fluctuations. We recommend you use a water-based stain. Good DIY stores should be able to advise on a suitable stain for use on children' play equipment, so you know it's safe for use around children, pets and plants.